This newly released Cassini image shows Saturn’s moons Tethys, Enceladus and Mimas. This view looks toward the sunlit side of the rings from about 0.4 degrees above the ring plane. The image was taken in visible light with the Cassini spacecraft narrow-angle camera on December 3, 2015. 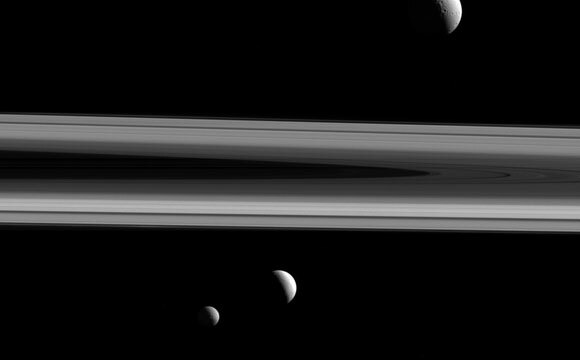 Be the first to comment on "Three Times the Fun: New Cassini Image of Tethys, Enceladus and Mimas"